Register as early as possible to take advantage of the early bird discounts. Payment in full is required to process all registrations. The registration fee covers all main sessions, workshops, three buffet breakfasts, and the Saturday night banquet. We will confirm your completed registration by mail or email. The status of your membership on October 31, 2019 determines your registration fee. Those attending law school or undergraduate school full-time are considered “Students.” When both spouses are attorneys, law students, or non-lawyer members, the spouse with the higher registration fee must register and the other need pay only the spouse fee. The hotel is located in downtown Chicago approximately 18 miles from O’Hare International Airport (ORD) and is accessible via rental car or Chicago Transit Authority (CTA). CLS will be applying for state bar approved CLE credits. 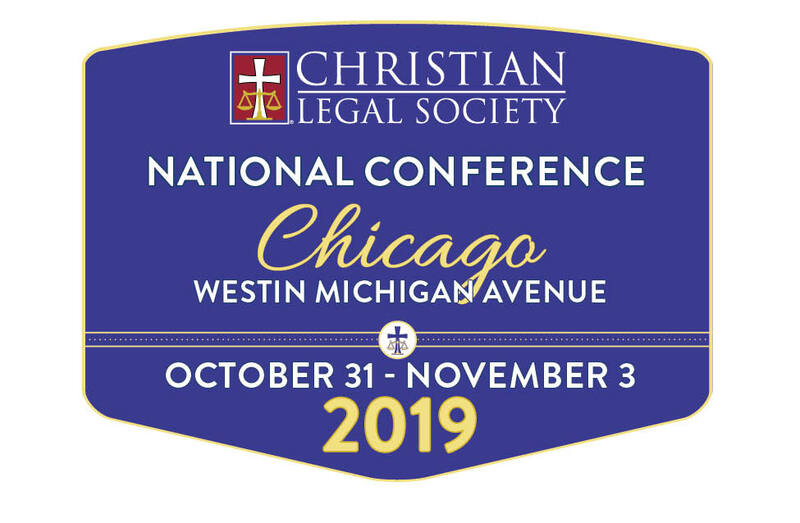 There is no additional charge for CLE credits for workshop sessions; however, you must fill out the proper CLE forms at the conference to receive credit. CLE credit is also available for the main session on Friday morning. CLE credits will be provided for workshops that qualify, which is dependent on the rules of each accrediting state. Dress for the conference is business casual; Saturday evening gala is business formal. If you have dietary or other special needs, please let us know when you register so that we can make arrangements to accommodate your needs. Any cancellation/request for a refund must be made in writing, and CLS will issue a cancellation number. If received on or before September 1st, a $75 administration fee will apply. If received by 4:00 pm EDT on October 1st, a $150 fee will apply. No refunds will be given after 4:00 pm EDT on October 1st, 2019. No-shows will not receive a refund. Age-appropriate, Christ-centered care is available for children ages 0-11 for most conference sessions and workshops. Childcare is free for all registrants, however, registrations must be received by September 16, 2019 so we can make the appropriate accommodations. Details and program offerings are subject to change based on interest.